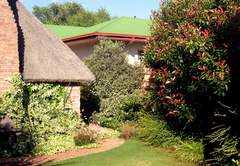 Birch Bush B&B is a highly recommended B&B with self catering option, providing accommodation in Bethlehem for tourists visiting the Thabo Mofutsanyana region. 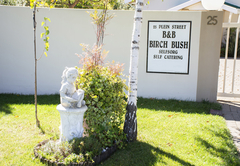 Birch Bush B&B is situated in the beautiful Eastern Free State town of Bethlehem and provide luxury en-suite accommodation on a bed and breakfast or self-catering basis. 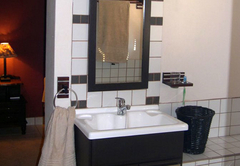 We are suitable for the business or holiday traveler. 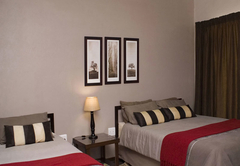 The Lapa consist of a bedroom with two single beds, a full bathroom and the Lapa area which serves as a living area. 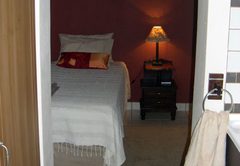 There are two single beds in the Lapa area. 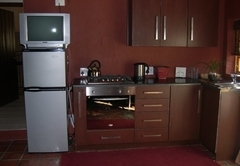 It is a fully equipped self-catering unit with a two plate stove and oven plus everything that you need in a kitchen. 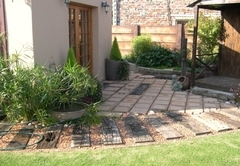 There is an indoor braai facility, a private entrance, small garden, DSTV and safe parking. 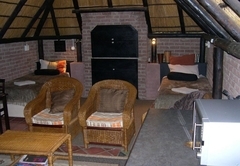 The Lapa can be used as self-catering or B&B. The Studio is next door to the Lapa. 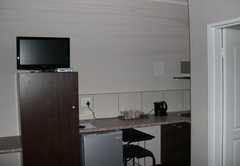 It consists of a bathroom, two single beds, DSTV, fridge, microwave, tea / coffee facilities, and cutlery for two. 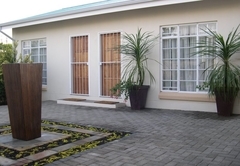 The studio can be used with the Lapa as self-catering accommodation. 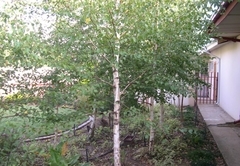 There is a small garden, private entrance and safe parking. 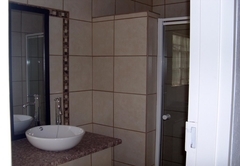 These rooms consist of two single beds and en-suite bathrooms, DSTV, fridge, microwave, tea / coffee facilities and cutlery for two. 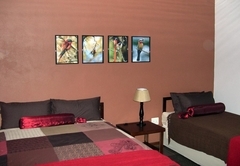 Each room got a private entrance and safe parking. 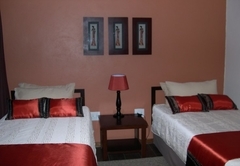 These rooms consist of a double bed and a single bed in each room, en-suite bathrooms, DSTV, fridge, microwave, tea / coffee facilities and cutlery for three. 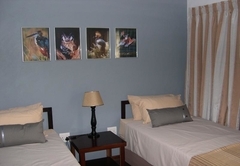 Each room has a private entrance and safe parking. 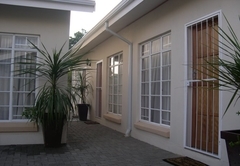 This house has three bedrooms and is comfortably furnished with a living area, kitchen, lounge and dining area. There is also DStv. These flats can either be self catering or on a bed and breakfast basis. Flat 2 sleeps two guests and flat 3 sleeps three guests. 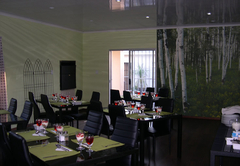 There is a separate dining room where breakfast is served. When booked in advance dinners can be provided as well. 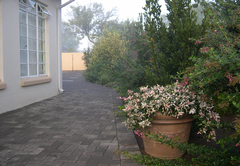 There is an indoor braai facility in the dining room for groups to use if needed. There are good restaurants, a casino, a golf course, hair and beauty salons and a shopping mall. 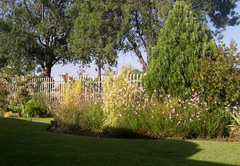 Art galleries are only a 20 minute drive away in Clarens. 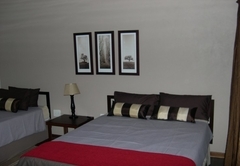 Comfortable en-suite room with coffee/tea making facilities and DSTV.Can also use for self catering. 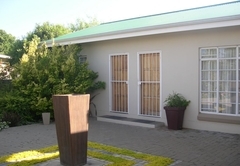 Self catering unit with one bedroom sleep two and sitting room, kitchenette and a bedroom with 2 single beds combined with one bathroom for both rooms. There is also a braai facility in the kitchenette. DSTV. Your own garden. 3 Bedroomed house. Kitchen, lounge and dining room. DSTV in bedrooms and lounge. 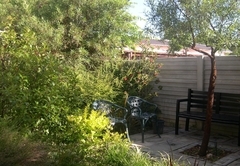 This is a pleasant place to be for relaxing and with a tranquil environment.The host are the best I would recomment it to anyone and would definately come here again. 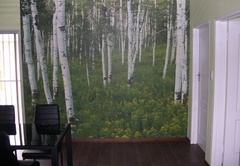 Response timeBirch Bush B&B typically responds to requests in 5-10 minutes. Early check-ins, and late check-outs by prior arrangement only. Check-in by no later than 20h00, after which reception is closed.